This is for all those who've asked me what I think about Sheer Cover. This is my friend's and I have not used it personally, but she does like it a lot. And I must admit, I was quite impressed with the packaging and all the extra free stuff that came along with it, including a compact lipgloss/eyeshadow palette, small kabuki brush in a black satin pouch, etc. 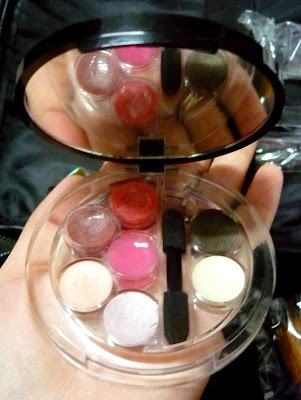 "It gives a natural look"
"It covers all dark spots and patches"
The whole kit comes in a cute black patent leather bag. 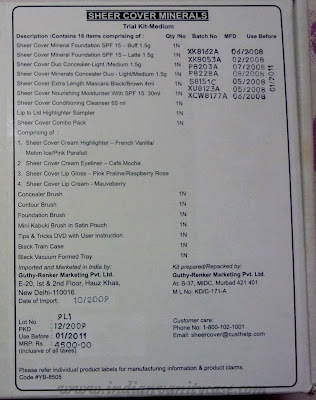 My friend got this kit for about Rs.2500 when there was some kind of special offer. 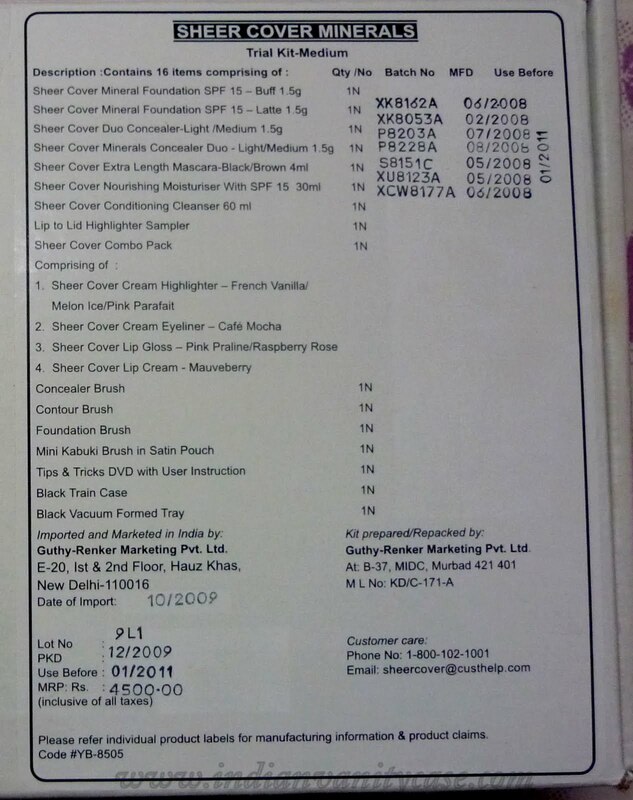 Another person ordered it recently and the total came to about Rs.3400. So, I guess the price varies from time to time. 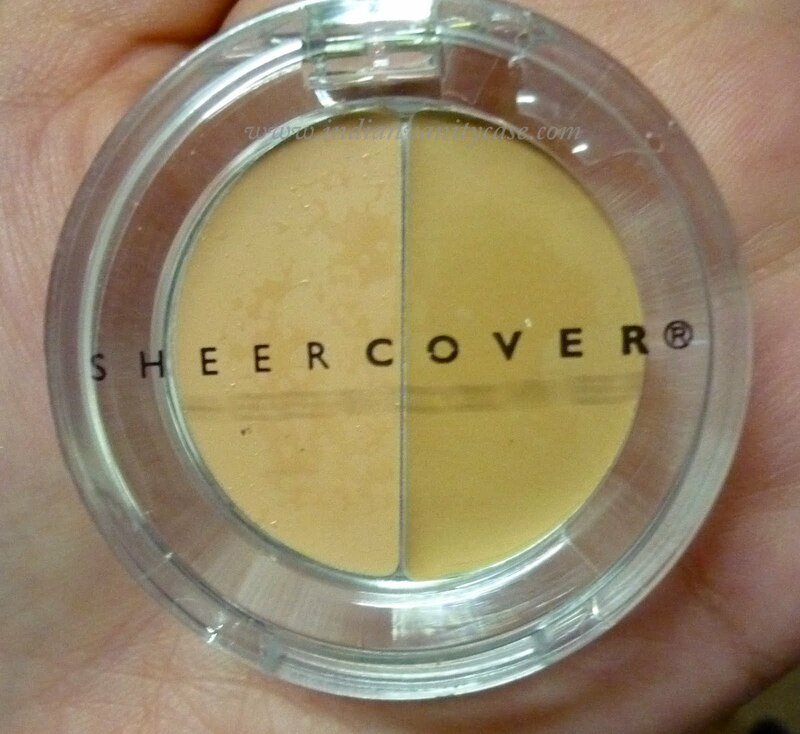 Any of you tried Sheer Cover? How do you find it? So much in just Rs 2500 is fab ....I havent tried any of the product Cynthia..but i liked the lip gloss shades and palette. It looks stunning in my opinion! I have never seen this brand on TV/print or in the market... is it available in India? there seem to be loads of stuff for 2.5k in there... how do ur friends like the quality? 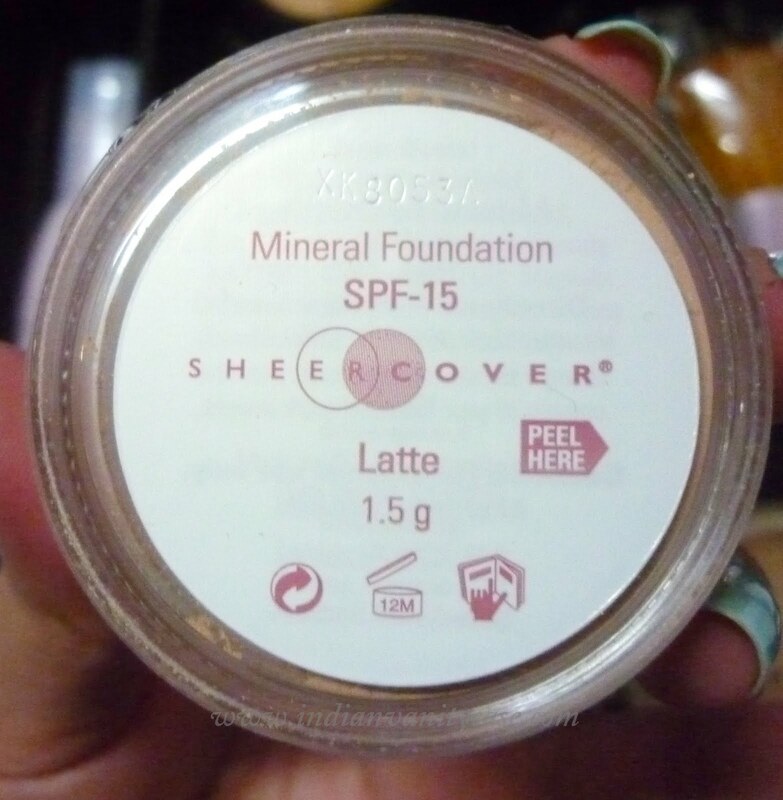 I have seen this on TV.. How did your friend find the products?? Thinking of trying getting it. Please can u try and give a review on it? 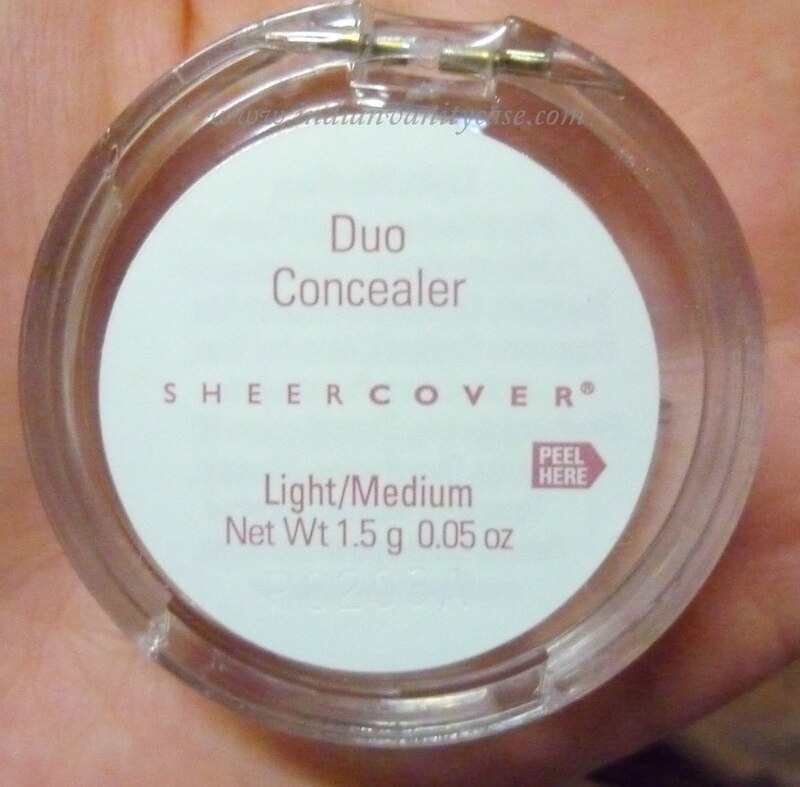 i m new to makeup stuff and if i do buy this, it would be my first buy for foundation concealer and all. is it worth putting 3000 on stake for the first ever time? 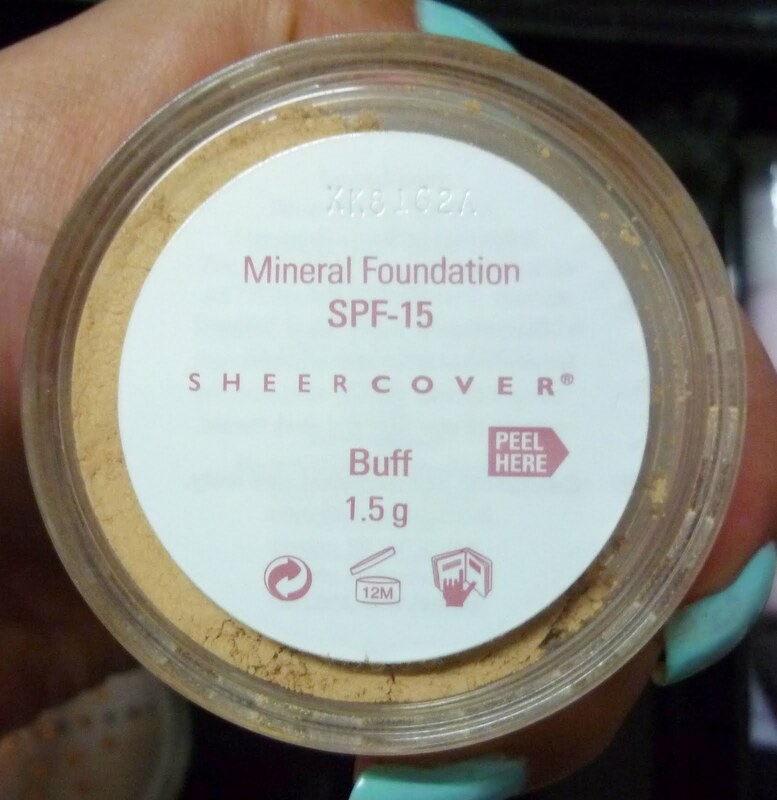 k, Guys.... SHHHHH.... Sheer Cover is good not bad at all but for 3400 Rs, We get too little of product to use, And i did buy it frankly speaking it did not cover any of my scars, and it also makes your skin dry like very dry. When i applied it on my face i had skin peeling out on my nose and chin, and if you stay some where in a humid place it just doesnot help, i sweat a lot on my face and this thing did not help me much. I think the best product is MAC or Bare is also ok. I love MAC. 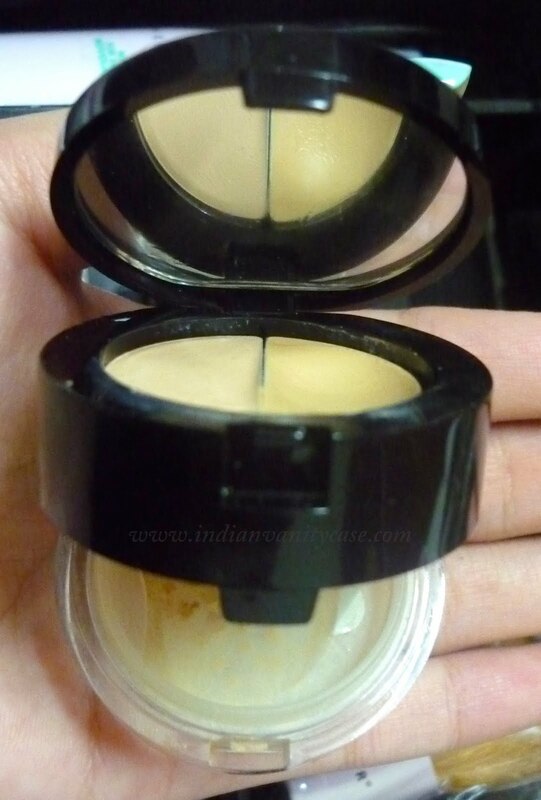 Im nc 42 in mac.. Will medium shade suit me?? Did u find it yet? Can you delivery to Bangladesh.